THIS Nondisclosure Agreement (the “Agreement”) is made and entered into as of Date, by and between Company (the “Company”) and Other Party, (the “Recipient”) (collectively, the “Parties”). 1. For purposes of this Agreement, "Confidential Information" shall mean any and all non-public information the Company has disclosed or may disclose to the Recipient, including but not limited to information related to: production of legal materials, software development and design, business or software architecture, software not yet known to the public, clients or prospective clients, internal communications, events, or meetings, or any other research, development, operations, marketing, transactions, regulatory affairs, discoveries, inventions, methods, processes, articles, materials, algorithms, formulas, specifications, designs, drawings, data, strategies, plans, prospects, know-how and ideas, whether tangible or intangible, and including all copies, analyses and other derivatives thereof. 4. The validity, construction and enforceability of this Agreement shall be governed in all respects by the law of England. This Agreement may not be amended except in writing signed by a duly authorized representative of the respective Parties. This Agreement shall control in the event of a conflict with any other agreement between the Parties with respect to the subject matter hereof. The failure of either party to enforce its rights under this Agreement at any time for any period shall not be construed as a waiver of such rights. 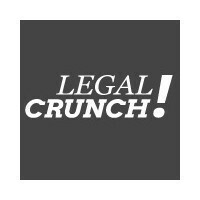 version 5 by LegalCrunch Inc.